Emi Gayle has written a unique paranormal romance/urban fantasy novel, I really enjoyed the characters, the story flows well and I found I had a hard time putting it down till I reached the end. Emi Gayle has done a fantastic job writing the first novel in the series, you know it’s good when a reader finishes the book and goes looking to see when the next book is coming out as I wanted more right away. I liked that is was a bit different from what I have read lately in these genre’s, there were a few times I wished for more clarification on a few things but maybe more will be clarified in the next book. 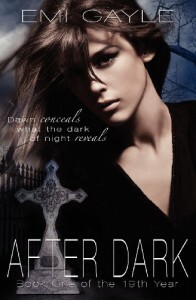 I still really enjoyed After Dark. Mac is a changeling who basically can become any creature she wants, the only downfall is once Mac turns 19 years of age she has to decide on one form and keep that form for the rest of her life. Presently Mac is 18 years old, living among the humans and attending high school. It funny because Mac hates going to school and living with humans who she really only tolerates. When Mac meets Winn things change a bit for her, for one she ends up hanging around his friends and Winn. At first Mac only starts this friendship because Winn has a book that holds secrets to her life past and future. But nothing is that simple, of course Mac and Winn start to have feelings for each other, and this is a great romance in the making. I loved it because Winn is not your typical character in the paranormal romance department who gets the girl. Winn and Mac make you laugh out loud, I loved Mac character she is strong independent, and quite snarky at times. Its great watching her realize she is falling for Winn. So I will say I have rated After Dark a 4 star rating and I would recommend it to any of my friends who enjoy paranormal/urban fantasy/romance novels. And I seriously cannot wait to read the next book in this series. Thanks to J.T. 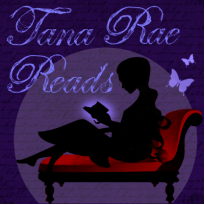 Publishing and Emi Gayle for the chance to read After Dark.